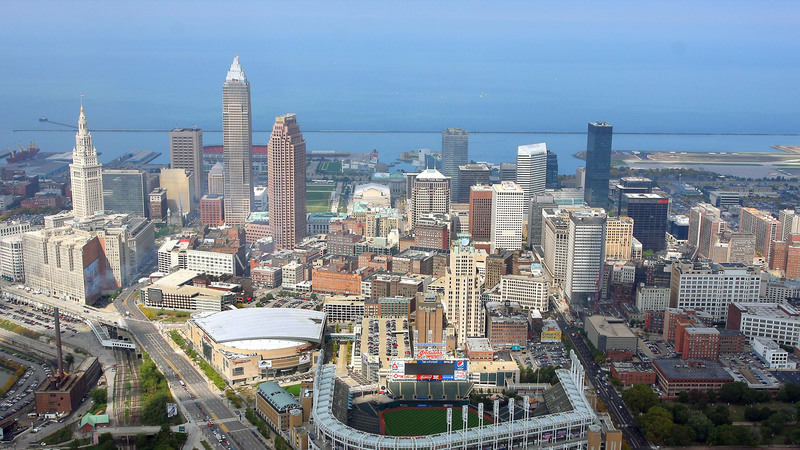 One of the largest cities in the Midwest, Cleveland delivers on everything you’d expect from a major metropolitan area. Legendary institutions, such as the Rock & Roll Hall of Fame, the Cleveland Orchestra and the Cleveland Museum of Art, attract millions each year. Eclectic neighborhoods offer inspired cuisine from a number of nationally recognized chefs. We’re home to three professional sports teams — MLB’s Cleveland Indians, NFL’s Cleveland Browns and NBA’s Cleveland Cavaliers — as well as Playhouse Square, the largest performing arts center in the nation outside of New York City. Plus, we’re nicknamed Forest City because of our award-winning park system, Cleveland Metroparks, and its 23,000 acres of nature preserves and 300+ miles of walking, biking and bridle trails. Given Cleveland’s appeal, it’s no wonder that nearly 60 percent of all U.S. Fortune 500 companies have a presence in Cleveland and top employers like Cleveland Clinic, Progressive and Sherwin-Williams are headquartered here. Our popular U-Pass program makes it even easier to take advantage of everything our city offers. U-Pass allows students to ride on all Greater Cleveland RTA buses and rapid trains during each academic semester.